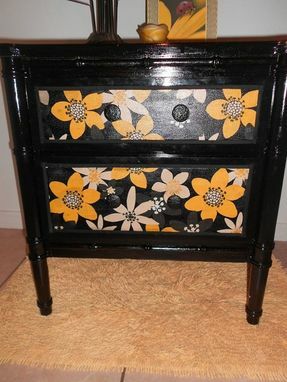 I would love to work with you to create either a single or pair of custom repurposed night stands/end tables. 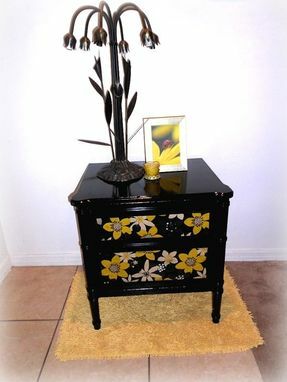 You have the option to choose the style, colors and materials used, dimensions, fabric used and so on. 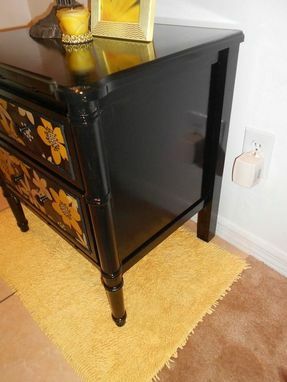 Each of these tables' drawers are covered with fabric and sealed with a water protectant spray. Prices depend upon number and sizes of the tables.